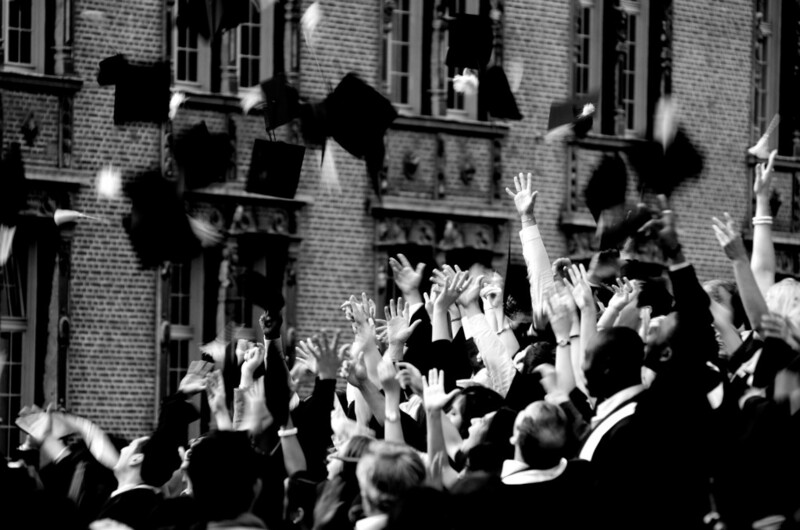 This month more than three million high school students will receive their diplomas. At more than 80 percent, America’s graduation rate is at a record high. More kids are going to college, too. But one-third of the nation’s African American and Latino young men will not be among the graduates. See Stop Holding Us Back, New York Times, June 7, 2014. Half of the African-American male students who fall off the path to high school graduation do so in just 660 of the nation’s 12,600 regular and vocational high schools. An in-depth report on the characteristics of these 660 schools will be released in the latter half of 2014. Diplomas Now is a proven approach that helps the most challenged middle and high schools in America’s largest cities ensure that students graduate ready for college and career. It is the first fully integrated approach that improves a school’s curriculum and instruction while providing the right students with the right support at the right time. Talent Development Secondary, a program of Johns Hopkins University School of Education, is a school improvement model that improves curriculum, instruction, school climate and student achievement. City Year provides a team of 18-to-24-year-old AmeriCorps members who provide full-time academic and behavior support to students. Communities In Schools in-school case managers and social workers support the neediest students, connecting them with community resources such as health care, housing, food and counseling. In 2010, Diplomas Now received a prestigious $30 million federal grant to expand its program and study its effects and $16 million dollars in support from its founding funder PepsiCo Foundation. The results of that third-party study are due in 2015. Diplomas Now started as a pilot with one 700-student middle school in Philadelphia in 2008-2009. Today, it serves 31,000 students in nearly 40 schools in 14 cities. We use longitudinal analyses—following almost 13,000 students from 1996 until 2004—to demonstrate how four predictive indicators reflecting poor attendance, misbehavior, and course failures in sixth grade can be used to identify 60% of the students who will not graduate from high school. Fortunately, by combining effective whole-school reforms with attendance, behavioral, and extra-help interventions, graduation rates can be substantially increased. Preventable Failure: Improvements in Long-Term Outcomes when High Schools Focused on the Ninth Grade Year, shows that improvements in ninth grade on-track rates were sustained in tenth and eleventh grade and followed by a large increase in graduation rates. This analysis was done on 20 “early mover schools” that showed large gains in on-track rates as early as the 2007-08 and 2008-09 school years, allowing for enough time to have elapsed to analyze how the increase in on-track rates affected graduation rates. Despite the growth of a variety of alternatives to the neighborhood high school, most students in big-city school systems still attend large comprehensive high schools that serve a particular residential area. The authors contend that the extreme concentration of educational need at these schools is often overlooked by policymakers, school reform programs, and even district personnel. To illustrate the challenges facing neighborhood high schools, this paper examines key academic characteristics of ninth graders in Philadelphia during 1999-00. The authors find that a large percentage of ninth graders at neighborhood high schools have been ninth graders for two or more years. Many of the first-time ninth graders are either over-age, two or more years below grade level in reading and math, or had weak attendance in eighth grade. These data suggest that large and sustained investments of human and financial capital are desperately needed in the many neighborhood schools that serve primarily, and often almost exclusively, students with multiple risk factors for academic failure. 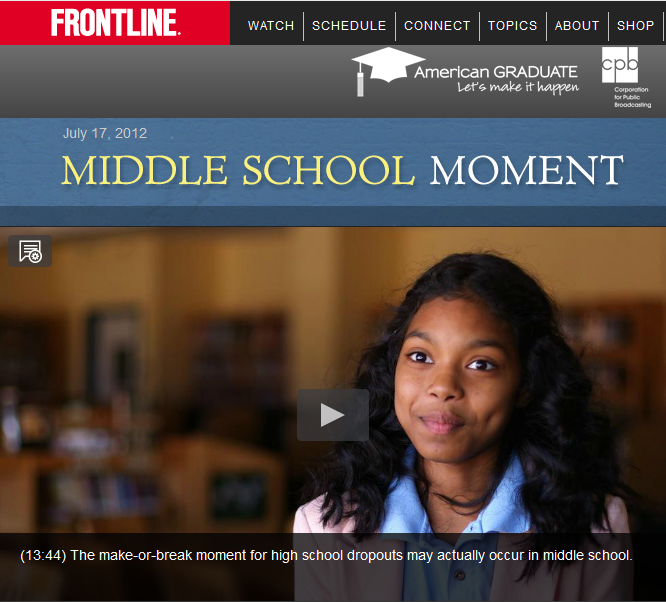 PBS’s Frontline highlights Johns Hopkins professor Bob Balfanz’s research on middle school students’ attendance, behavior and course performance – the ABCs, as Balfanz calls it – and the strong link to dropping out of high school. In high-poverty schools, if a sixth grader attends less than 80 percent of the time, receives an unsatisfactory behavior grade in a core course, or fails math or English, there is a 75 percent chance that he or she will later drop out of high school — absent effective intervention. The story explores how adults at a Bronx middle school analyze the ABC data weekly and work to keep each kid on track, a strategy behind the national Diplomas Now model. Balfanz argues that there aren’t enough teachers to reach every struggling student so schools need to get creative and bring in a “second shift” of adults — national service corps members, volunteers, retired teachers — so that everyone in “that group of kids in the middle” has an adult, which is a big part of Diplomas Now. Watch the Frontline story here. Robert Balfanz, PhD, is a research professor at the Center for the Social Organization of Schools at Johns Hopkins University School of Education, where he is co-director of the Talent Development Secondary reform model and director of the Everyone Graduates Center. He is a leader and a co-founder of Diplomas Now, an evidence based school transformation model for high needs middle and high schools which combines whole school reform with enhance student supports guided by an early warning system and winner of a federal Investing in Innovation (I3) validation grant which is currently being implemented in forty schools across twelve school districts. He has published widely on secondary school reform, high school dropouts, early warning systems, chronic absenteeism, school climate, and instructional interventions in high-poverty schools. He focuses on translating research findings into effective school interventions. His also a frequent speaker on dropout prevention and early warning indicators and has consulted with numerous state education associations through partnerships with the National Governors Association and Jobs for the Future. Dr. Balfanz is the first recipient of the Alliance For Excellent Education’s Everyone a Graduate Award and the National Forum’s to Accelerate Middle Grade Reform Joan Lipsitzs Lifetime Achievement award. In 2013 he was named a Champion for Change for African American Education by the White House. He holds a B.A. in history from Johns Hopkins University and a PhD in education from the University of Chicago. Click here to see Dr. Balfanz’s full Everyone Graduates Center portfolio.